Reprint. This edition originally published: 1995. Every Saturday morning the Greg family goes off to shoot animals and birds. But the girl who lives next door hates hunting. Now it's made her so angry she's PUT THE MAGIC FINGER ON THEM ALL. And very strange things have begun to happen . 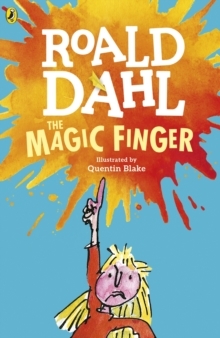 . . And now you can listen to THE MAGIC FINGER (with THE MINPINS) and other Roald Dahl audiobooks read by some very famous voices, including Kate Winslet, David Walliams and Steven Fry - plus there are added squelchy soundeffects from Pinewood Studios!